The Akiles CoilMac M Plus Plastic Coil Machine is a rugged 4:1 plastic coil manual punch machine that offers the same features as the standard CoilMac M with the exception of oval punch holes instead of round. The CoilMac M features five disengageable pins, a punch depth control, a side margin control, inserting table and open punch throat. The CoilMac M can punch up to 20 sheets of 20lb paper with a max length of 13". These features along with its rugged build make the CoilMac M an ideal binding solution for binderies, print shops, copy centers and more! 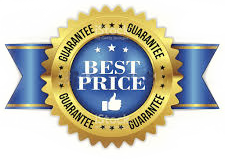 WIth our Low Price Guarantee nobody saves your more money on quality laminating and binding products than Laminator.com.